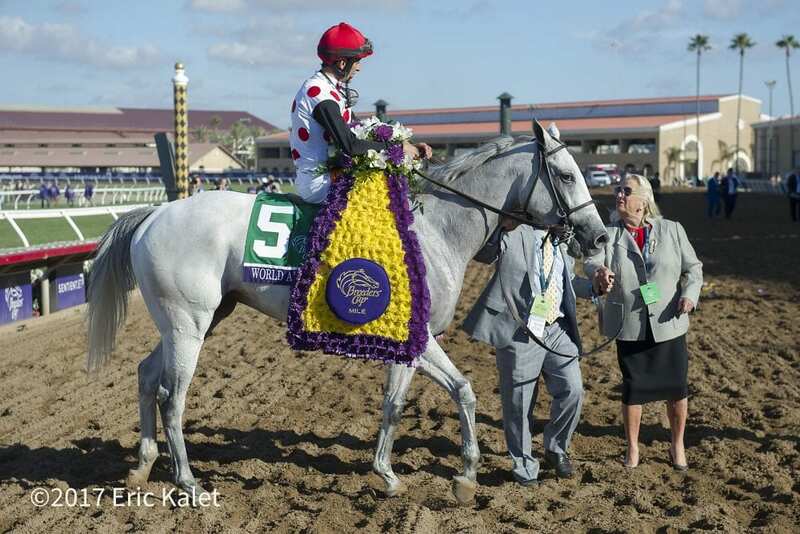 Breeders' Cup Mile champion World Approval could follow in the hoof-steps of another well-known Mark Casse trainee with a trip to Royal Ascot next June. The Racing Post reports that Casse and owner Charlotte Weber are considering sending the gelding to Royal Ascot to run in the Group 1 Queen Anne Stakes, the same race champion Tepin captured in 2016. Should he run, there is a chance that World Approval could take on Australian wonder mare, Winx. The connections of the daughter of Street Cry are seriously considering a European campaign for their champion mare. “It's something to think about,” said Casse. “He would probably handle it as good, if not better (than Tepin). This entry was posted in Racing and tagged Horse Racing, Queen Anne Stakes, Royal Ascot, thoroughbred, winx, World Approval by Paulick Report Staff. Bookmark the permalink.